Unless you’ve been living under a rock since Donald Trump was elected President, then you know that politics have been a hot button topic even more than it ever has before. 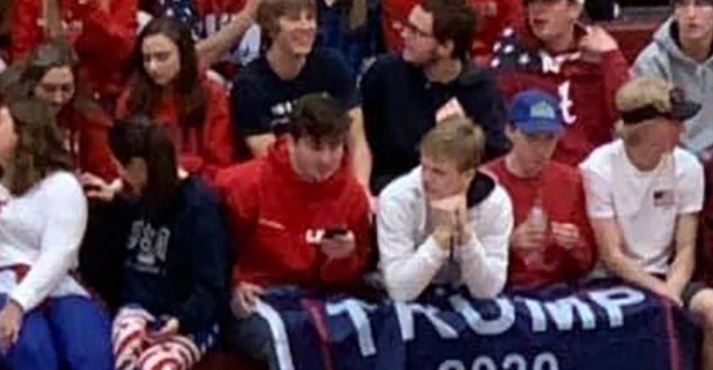 One Minnesota area high school had to take action and pull out of a tournament scheduled for Martin Luther King Jr. Day after its fans displayed a “Trump 2020” flag during a game against predominantly black inner-city kids. The Jordan High School boys’ basketball team had a scheduled game against Minneapolis Patrick Henry High School today in the MLK Showcase at Minneapolis Roosevelt, but things quickly went awry after some Jordan fans displayed a Trump banner when Roosevelt visited Jordan last week. “Please explain how and why this is appropriate at a high school basketball game?” wrote coach Michael Walker, of Minneapolis Roosevelt High School.